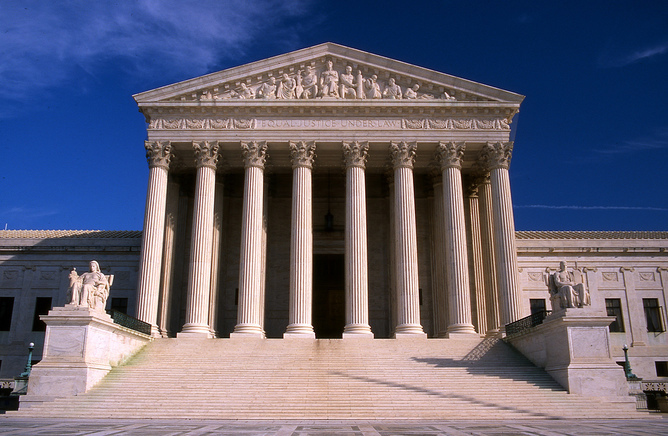 This Wednesday, December 9, the US Supreme Court will consider the Fisher v University of Texas case. 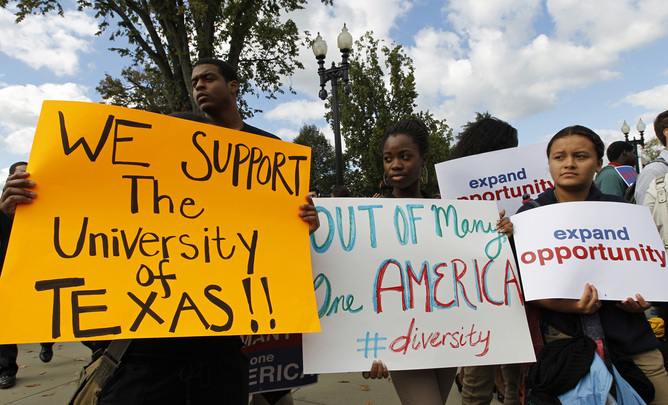 This will be the second time the court rules on the constitutionality of a race-sensitive post-secondary admissions policy at the University of Texas. The Abigail Fisher case on affirmative action is due to come up on December 9. We examined the impact of bans in six states: California, Washington, Michigan, Nebraska, Florida and Texas and analyzed data from 19 years – 1993-2011. We found that following these bans, underrepresented students of color at public medical schools dropped from 18.5% to about 15.3%. One of my prior studies also found declines across a number of important graduate fields of study, including engineering, the natural sciences and the social sciences. Other research too has documented declines in African-American and Latino enrollment at the most selective undergraduate schools in the fields of law and business. Students calling for diversity protest outside the US Supreme Court in Washington, DC. This is because race operates not only at the structural level – shaping a child’s life chances, including his or her opportunity for a quality education – but also at the individual level. Race influences thoughts and behavior of individuals of all races in subconscious ways – through implicit biases, such as attitudes toward particular social groups – and other psychological phenomena such as stereotype threat, classically manifested in high-stakes test performance, involving the threatening experience of conforming to negative race-based stereotypes present in the larger society. can lead to social cohesion. Justice Anthony Kennedy, a decisive vote in the Fisher case, has acknowledged in past decisions how much race continues to matter.